The transition between external and internal environments is startling. From the outside, the business looks like a factory — a 130,000 sq.-ft. industrial building in the shadow of a massive wind turbine just off a busy thoroughfare in Newburyport, Mass. But when you step through the front doors, the change in aesthetics and mood is immediate. As you walk toward the gracefully curved reception desk, you catch glimpses of dark wood paneling rolling away down a long corridor of open, airy offices. 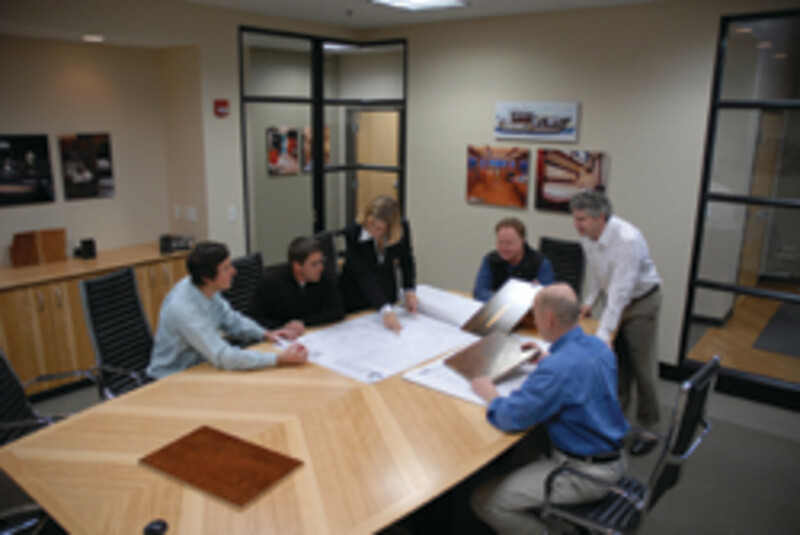 Step inside a conference room and your eye is immediately drawn to the richly patterned veneer of the conference table and the fit and finish of the cabinetry. Stand there for a few moments and you’ll catch the vibe of the environment — warm and happy. This is a striking space, teaming with energy and creativity. 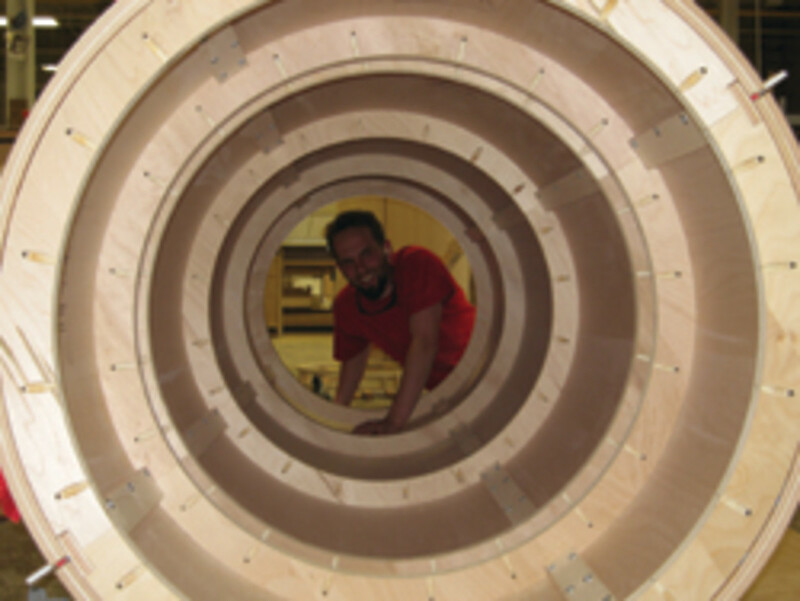 This is Mark Richey Woodworking. 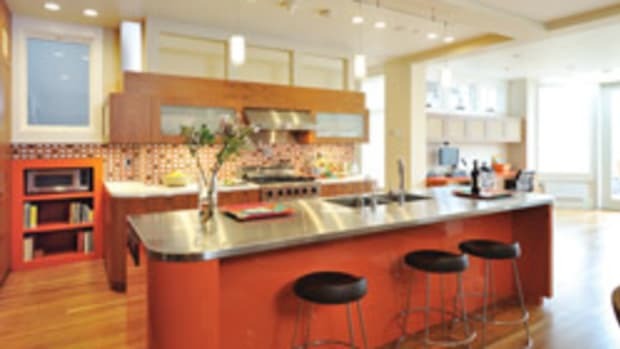 Founded in 1979 by Mark Richey and his wife, Teresa, in the basement of their Malden, Mass., apartment building, the company has since moved twice and morphed from a fine cabinetry business into a thriving $23 million-a-year commercial enterprise that employs 80 and is nationally renowned for its architectural millwork. 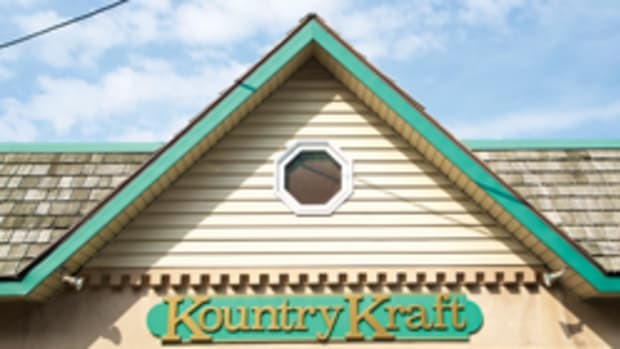 In the company’s early days, it set new industry standards through the introduction of computerized cost accounting and other manufacturing innovations. Today, it’s raising the bar for businesses seeking to ‘go green.’ When the company relocated to Newburyport in 2005, they opted to rehab an existing derelict building in an energy-conscious way. They installed an Austrian-made biomass furnace that transforms sawdust and wood chips into a supply of clean energy that heat 80,000 sq. ft. of the facility and in 2009 set up an on-site 600 kW wind turbine generator that produces virtually all of the company’s power. 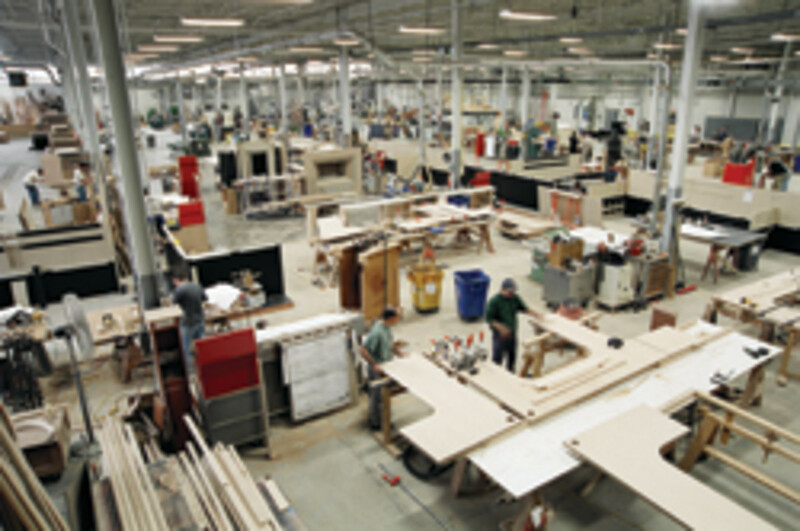 Underpinning this commitment to identifying more efficient and environmentally friendly ways of doing business, however, is the company’s relentless commitment to creating the best architectural woodworking possible. 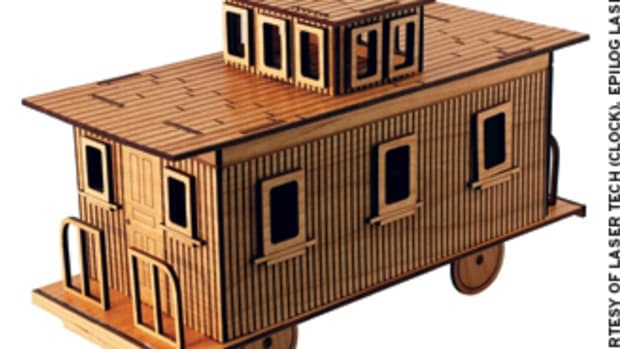 Mark Richey Woodworking is deeply committed to maintaining the ideals of what woodworking should be, no matter the size of the project at hand, and to allowing woodworkers to translate their artistry into a viable corporate career, company COO Greg Porfido says. 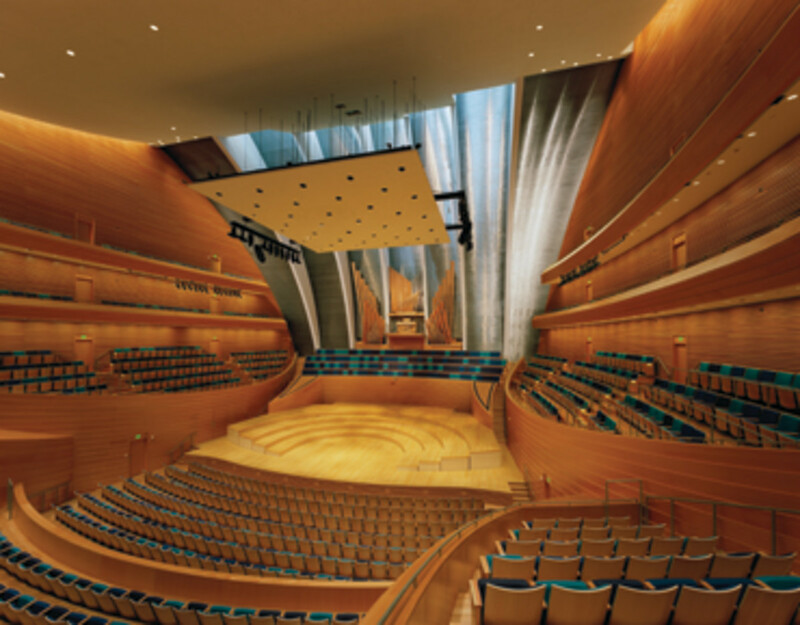 Nowhere is the creative force of the team that Richey and Porfido have assembled more evident than in such undertakings as the Kauffman Center for the Performing Arts in Kansas City, Mo., a complex project executed by the firm during the course of three years and awarded the Architectural Woodwork Institute’s Standard of Excellence award in 2012. This type of problem solving is possible, Porfido says, because the entire company (with the exception of finance) is managed by woodworkers. Everyone comes to the table with a strong foundation in traditional woodworking skills, including the leadership team. 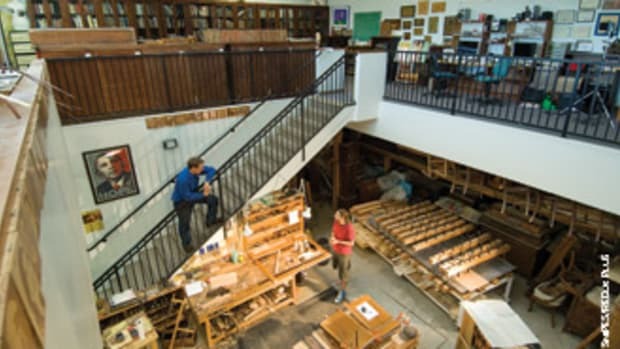 Prior to starting the firm, Mark Richey studied architecture and design at the Boston Architectural Center, worked in furniture and woodworking shops around Boston and served a two-year apprenticeship building fine musical instruments; and Porfido trained at Boston’s famed North Bennet Street School. This grounding in traditional woodworking informs every project decision the company makes and is also the bedrock of their in-house apprenticeship program. 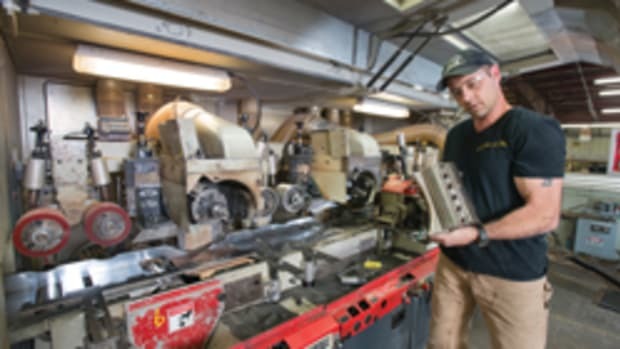 Although a handful of employees are graduates of North Bennet Street School and others are mature woodworkers who came to the company with well-established careers, most of Mark Richey’s employees join the company as unskilled woodworkers. They are then put through an internal apprenticeship — a merit-based, self-directed program that participants can complete at their own pace. As they go through their apprenticeship, employees are qualified on each skill, thereby allowing leadership to ensure that critical fundamental skills are in place and also enabling them to get to know the character and particular aptitudes of each employee. Of course, the company has specialists in different areas, Porfido says, but they cross-train everyone. “Developing people and adding value to the experience is a fundamental tenet of Mark Richey Woodworking,” Porfido says. “It’s what we’re all about.” Mark Richey echoes this sentiment. 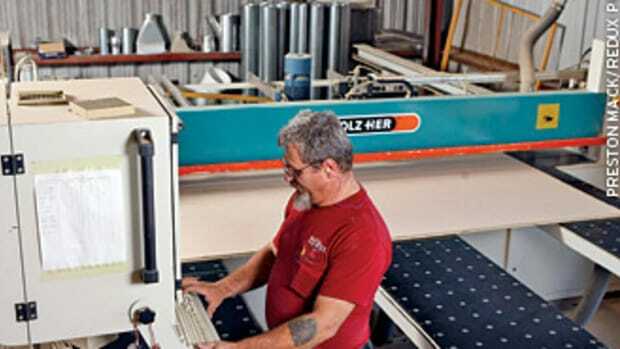 “As a leader in the company, I’ve never lost sight of how important individuals are at Mark Richey Woodworking,” he says. 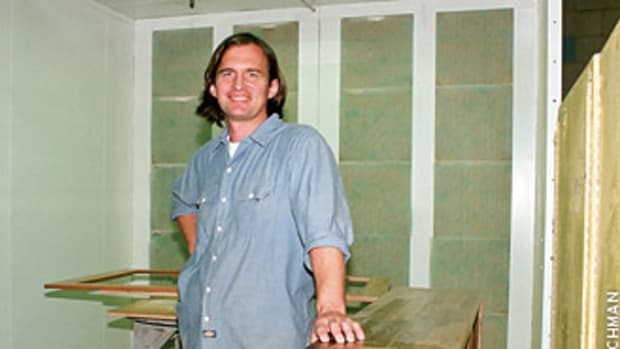 Furniture maker Gary Armstrong is a perfect example of a Mark Richey Woodworking employee. A traditional craftsman with more than 25 years of experience, Armstrong has worked at Mark Richey Woodworking for nearly a decade. “As a traditional furniture maker, the idea of transitioning from chisels and hand planes to computer-controlled fabrication and high-tech machinery methods could not have been more daunting when I first began with Mark Richey Woodworking,” Armstrong says. “But what I have come to discover in this highly specialist trade is that there is more than enough room to combine my traditional techniques with contemporary making methods. By using advanced technological innovations, there is much time, effort and cost to be saved without reducing quality or design features. 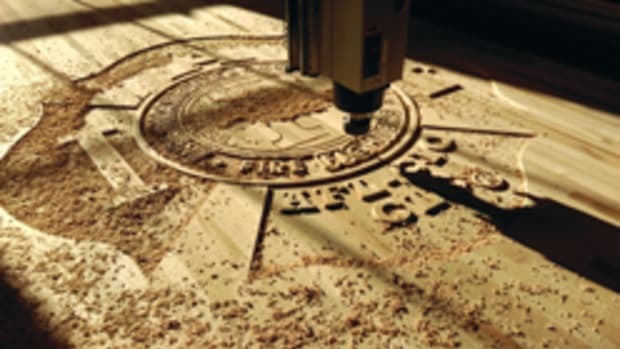 As a woodshop craftsman, I found that my biggest initial challenge was to understand and appreciate the vast capabilities of complex CNC equipment — something I had never encountered before. 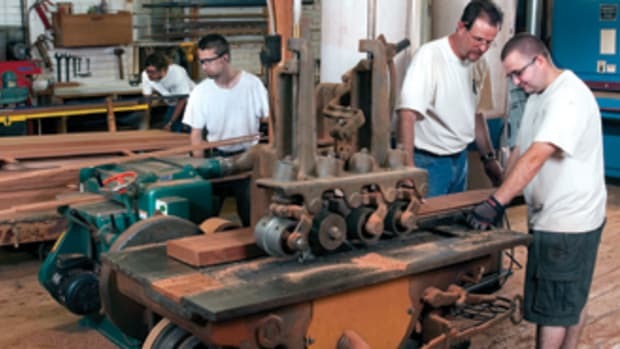 In addition to its rigorous internal education process, Mark Richey Woodworking also utilizes a team approach, both to encourage employees to invest themselves in each project and to enhance accountability. Most of the work the company does is unique and teams are assembled for every job based on the needs and challenges of a given project. Working in teams provides context, which in turn reduces errors, Porfido says. “We’re always looking for good people; we need them,” Porfido adds. “The woodworkers we want at Mark Richey Woodworking are people who love to problem-solve, who are committed to the work and who really care about the product.” Just because the business is housed in a large factory-sized building, Porfido says, people shouldn’t assume the environment inside is dead and gray.